3842 Ravello Dr Lake Havasu City, AZ. 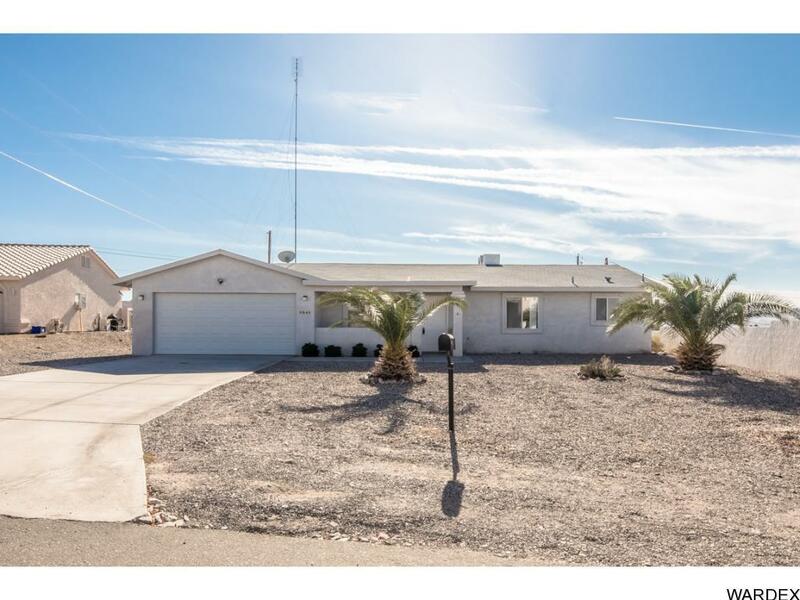 | MLS# 935467 | Real Estate and Homes for Sale in Lake Havasu City! MOVE IN READY HOME -on a lovely south side area of town! Have your morning coffee on your covered back patio enjoying great mountain views! This home features a walled in back yard, RV hook ups, side parking, new kitchen appliances, corian countertops, UPDATED flooring and fresh paint throughout the entire home! Great open floor plan for entertaining and nice size bedrooms. The property extends past the block wall, with even more potential AND backs up to a wash for added privacy! Donât miss the opportunity to come see this gorgeous home today!